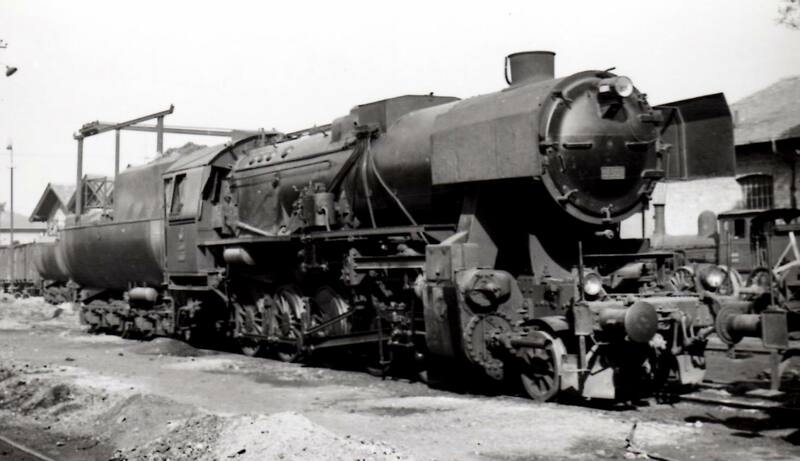 When the Second World War broke out, TCDD had several outstanding locomotive orders that could no longer be filled. TCDD was in acute shortage of motive power mostly because the speed of new line openings outpaced rolling stock procurements. 10 BR52 purpose built for TCDD. 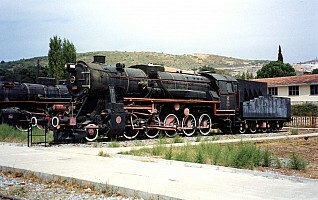 Turkey was one of the few countries that received brand new BR52. 43 BR52 built for the Deutsche Reischbahn, but loaned to TCDD in 1943/44. These engines were subsequently acquired by TCDD. Since these engines were in Turkey soon after having been manufactured, it is most probable that they arrived new in Turkey as well. reduce the cost of the engine, both in man-hours and in scarce material such as copper. This resulted in some innovative solution such as extended use of welds, especially for the rods. improve the engine protection against frost and otherwise harsh winter condition. This specification is a consequence of the German campaign against USSR, but also from the fact that the winters in 1941 and 1942 were very harsh. Hence the fully enclosed cab and insulation casing around most of the equipment such as the air pump. The result is a very a "down to the bones" engine where only the bear minimum is kept. 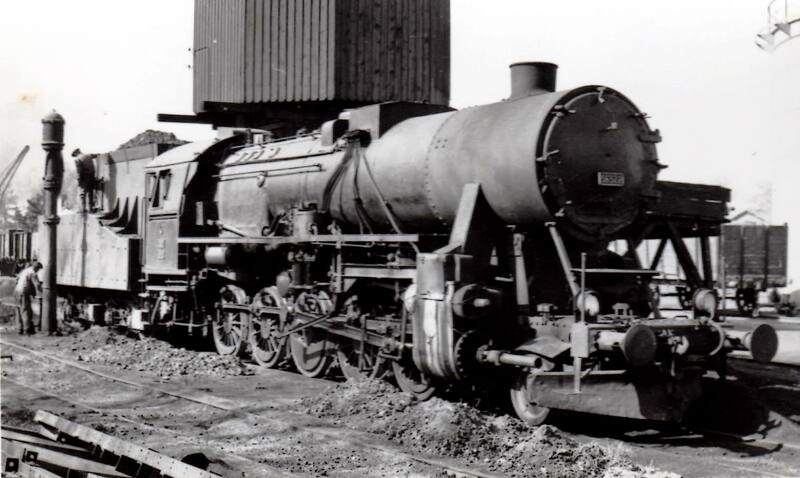 Yet this loco was very modern and introduced a number of innovative solutions that became the norm after the war. In all, The Germans manufactured more than 6700 BR52, most likely the largest quantity for a single type ever built worldwide. Over such a large batch and despite a high level of standardization, differences occurred between units. The production was spread over a large number of factories over Europe and each factory brought about changes based on its habits and know how. In addition, the German kept improving the design over time and these changes were applied differently from one factory to another. During the war, BR52's were used on all kind of assignments throughout Europe, including Russia. 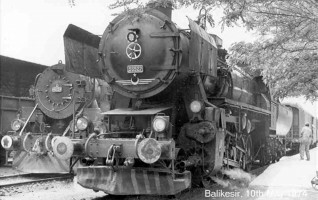 At the end of the war, many engines were taken over by various countries, the largest batch outside Germany being in Poland and in Soviet Union. 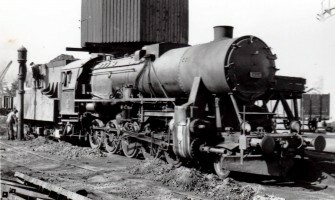 The first BR52, delivered by Borsig in September 1942 had a snowplow. This feature was quickly dropped on production series. However, all the 56500 of TCDD had a snowplow, often decorated with white stripes, further enhancing the visibility of this part. The first BR52 manufactured had a bar frame, inherited from the BR50. The German then changed the design to plate frame. This change was effective in the various factories in the middle of 1943. Only a the bar frame had smoke box support beams. These beams extending from the front end buffer beam to the smokebox can be easily spotted. 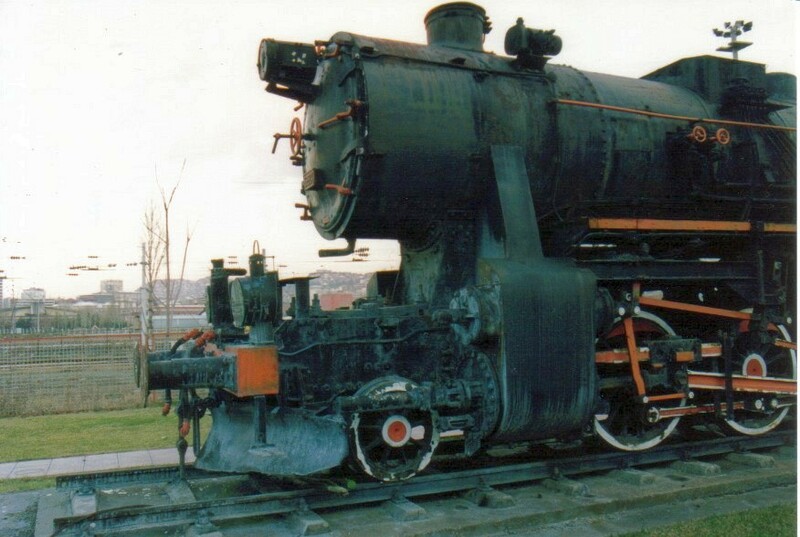 TCDD loco add a mix of frame types. At first the Germans deemed smoke screens unnecessary for a low speed war loco. However, this proved untrue and the driving team complained about smoke. The design was changed to include the diminutive smoke screen known as "White type". These smokescreen were scientifically designed by Ing White using trials in a wind tunnel. They were highly effective and weighted only a fifth of the BR50 smoke screen. This smokescreen came in two variations: a rounded type and a bended type. 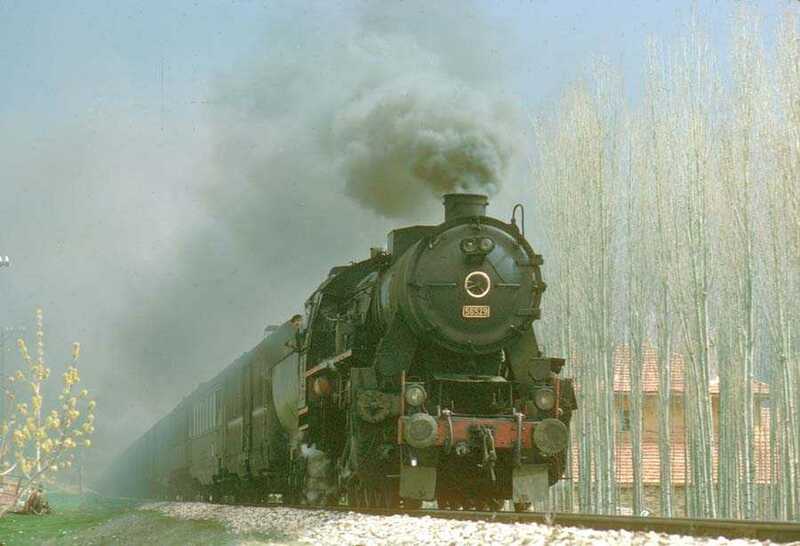 Very few TCDD 56500 had a smoke screen, and it seems that all of them were the bended type. The BR52 are famous for their frost protection, designed to keep the loco and the crew warm by –40°C outside, overnight and without fire. In peace time, the loco can be parked inside a shed when idle and the frost protections become a nuisance since. They prevent access to equipments for maintenance. So the 56500 gradually lost some of these protections overtime. The first to go was the enclosure around the air compressor. TCDD systematically removed them on all units. Then the shields around the water injectors and the water pipes were removed. This was not systematic and some 56500 retired with most of the shield still on. Likewise, in the original design, the turbogenerator was located on top of the firebox, and inside a rounded cover. TCDD relocated systematically this turbogenerator on all units to the right side of the smoke box, near the chimney. The cover was discarded. Finally, some of the war time material savings feature had to be reverted. 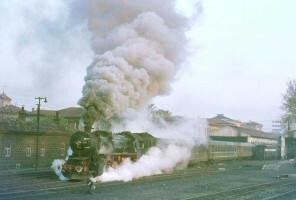 The most visible regards the smokebox. A central lock was retro fitted on all smokebox doors. This was completed with handrail to access the lock, a water drain pipe to ease cleaning the smokebox and a large head lamp support. 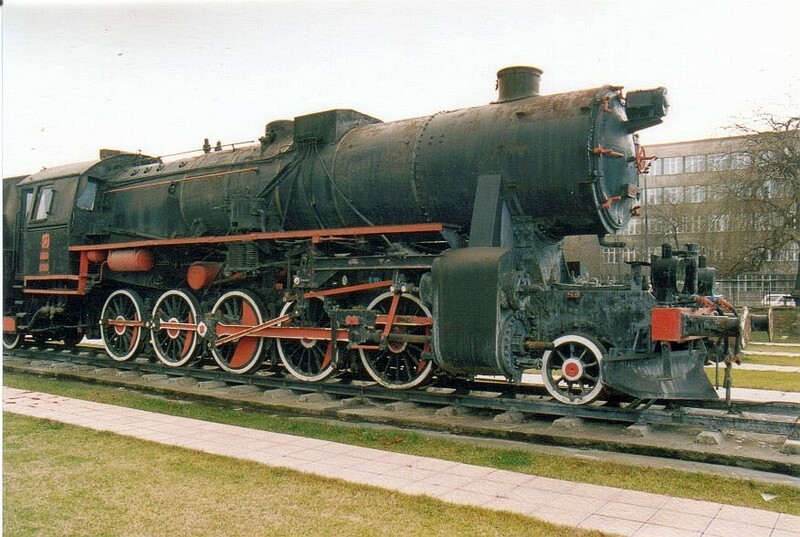 The K2'2'T32 "Wannen" : this tender was designed by Westwagon and derives its name from its cylindrical shape. A very large sheet metal rolled to form half a circle made both the bottom of the water tank and the frame. 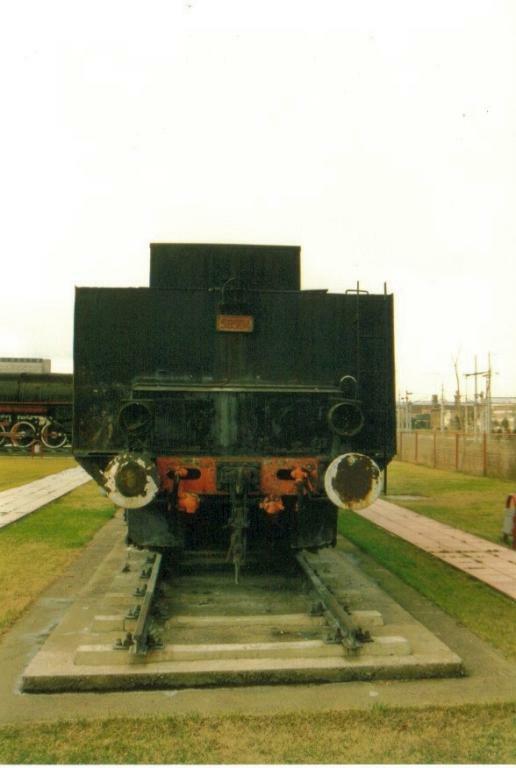 The bogies and the buffer beams were directly welded to this sheet. This design commonly seen now on tank cars was very innovative in 1942. K4T30 "Steifrahmen is a no less surprising tender. It was designed by Wiener Lokfabrik. They used a very British solid frame and fixed axles design. Considered a backward design next to bogies counterpart, this tender perform perfectly in service and never derailed in tight curves. The sides of the water tank were covered with panel made of fiberglass as a frost protection. These two tenders were of similar capacity and could be exchanged. Indeed, close examination of photographic records shows this did occur in practice. Presumably, TCDD managed its fleet of tenders to fit the best units. Many tenders, both Wannen and Streifrahmen had their coal bunkers enlarged by extending it rearward, over the water tank. This modification was substantial and must have added about 1 tonne of coal capacity. Some Wannen tenders were converted to fuel burning. A fuel tank was fitted inside the coal bank and an additional fuel tank was mounted on top of the water tank. 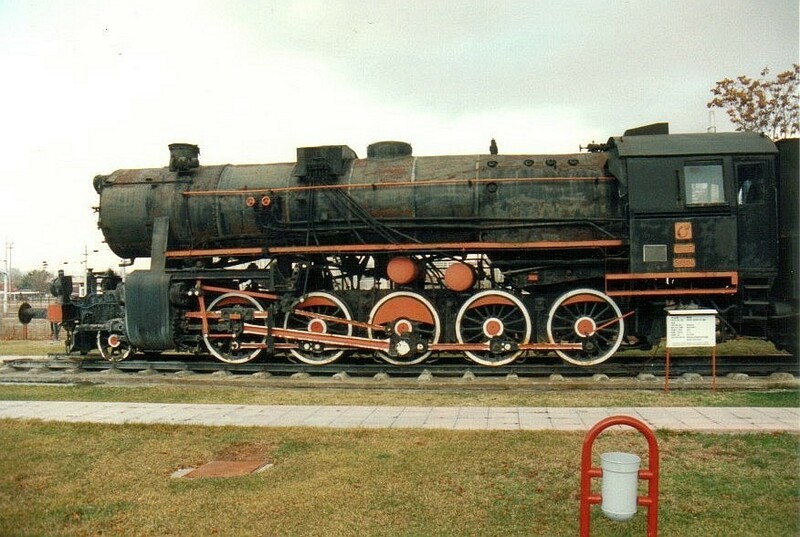 The BR52 were estimated to have 1740hp and could drag 1600 T at 60km/h on a flat line, at optimal boiler perfomance. 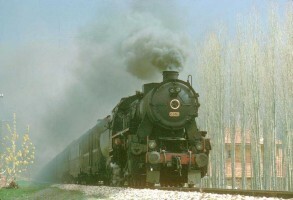 In Turkey, the BR52 proved very useful, especially because of their light axle load. 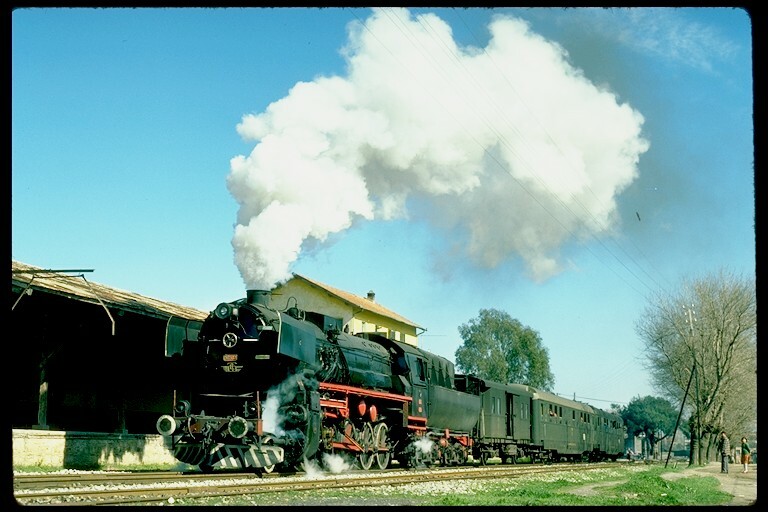 They were used mostly on all the "old lines" around Izmir, Afyon and on the European side. But many went to the east as well. They were used on all kind of assignments from suburban passenger trains to light freight. Double heading was common as soon as the the line had some gradients. This could be done either with another 56500 or with all kind of steam engine, newer or older. The BR52 were not built to last and many war times features of the engines proved troublesome. Despite these drawbacks, TCDD managed to keep its 56500 in operation well into the 1980's - more than forty years of service. 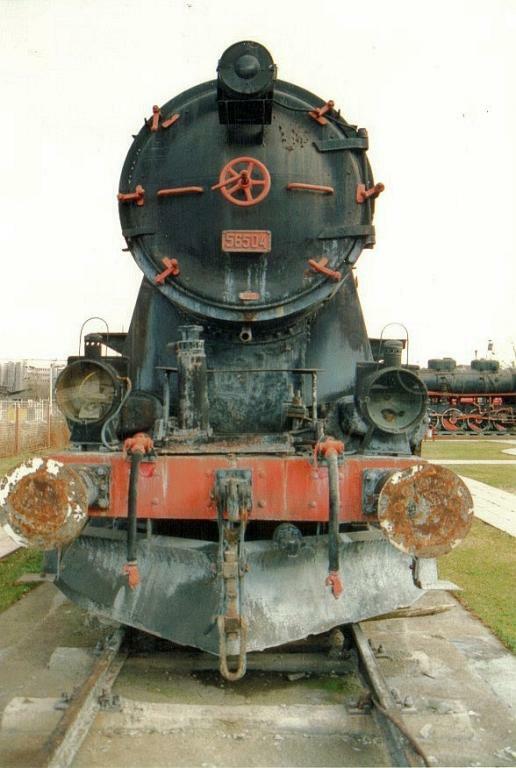 The BR52 is perhaps the most preserved locomotive throughout Europe. TCDD itself kept several engines, some of them in (nearly) running condition. Note: coal capacity based on original specification, modification to coal bank not taken into account. Indication regarding tender, smoke screen and frame type in the table below were built using photographic records. Such record exist for about 70% of the units and some units seem not to have been photographed. Chances are that most of these "invisible" engines were already out of service before the 1970's. 56501 n/a Henschel 1943 27735 Wannen Yes Starred in "James Bond: From Russia with Love "